Universal Pest Control | Termite Control serving all of Virginia Beach, Chesapeake, Norfolk, Portsmouth, Newport News, Hampton, Williamsburg and surrounding areas. We specialize in pest control for ants, termites, spiders and rodents ( Mice | Rats . We also offer moisture control, structural repairs,home insulation services and air duct cleaning. Universal Pest and Termite specializes in termite inspections as well as termite protection and termite warranties. All pest and termite services come with our No-Hassle guarantee. If the bu gs come back, so do we. Free of charge. How much for pest control or a termite treatment? Universal Pest & Termite offers straight forward pricing with no idden fees. Year Round (Family Friendly) Pest Protection. 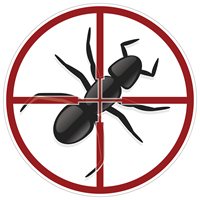 We offer the best price for ant control, termite control, rodent control or any other general pest control services. When looking for termite companies and pest control companies, trust us to protect your family. Contact us today for a no charge pest or termite inspection. For comprehensive pest control in Virginia Beach, Chesapeake and surrounding areas, call Universal Pest. Our exterminators can perform a variety of pest control services, including rodent extermination, termite control, ant control, and other pest extermination services. We understand the safety of your family including pets will always be first. The purpose of swarming is for termites to reproduce and create new colonies near food sources. Like ants, termites are very social creatures that thrive in a colony. Young termites develop wings in the springtime in order to disperse from their parent colonies in swarms. These "swarmers," or "alates" fly through mud tubes in the case of subterranean termites. Though they don"t fly for long, the swarms are usually carried along on a breeze until they reach the ground. Once they touch back down, the insects can establish new colonies. Colonies usually swarm only once per year, though in some cases, multiple swarms may occur. When multiple swarms occur in a season, they are generally smaller swarms than the first occurrence. Our Universal Pest & Termite technicians can help with questions about swarming termites in Virginia Beach, Chesapeake, Norfolk, Portsmouth, Williamsburg and surrounding areas. Call today 757-502-0200. Termite infestations happen in the blink of an eye, so it is important to be able to identify termite swarms quickly and correctly. The swarming stage is when many termites are ready to establish a new colony and reproduce to fill that colony. In many ways, termite swarmers resemble flying ants. Termite colonies begin forming immediately after swarmers hit the ground in a suitable spot. Termites are good at making homes just about anywhere that has a cellulose source and a healthy amount of moisture–exactly the kind of environment that your house provides! Contact Universal Pest & Termite for a termite inspection. Andrew is efficient, friendly and knowledgeable. He is concerned about keeping my home pest free and takes pride in his work. Dave does a great job! He is always on time and is always courteous. Universal has been effective in controlling pests! Our technician, Dave is always so friendly and professional! Our dogs love him too! The office staff has always been quick and helpful in all appointments and billing information as well. Would definitely recommend Universal for pest control. My technician for my home is David he is very professional and shows courtesy. Thanks. We are very happy with our service. Dave is always on time and does a great job. Technician is thorough and friendly. We have been a Universal customer for years. Their service and technicians are always knowledgeable and courteous. Most important fact, We are pest free! I am really happy with Universal Pest & Termite Inc. We have had service with them for close to a year now and I haven't had any complaints. We live close to a water source so there has been an issue with ants when we first moved here along with field mice in our garage and they have been on top of the issue. I got a recommendation from a neighbor and i have been happy with their service from day one. The staff from the secretary to the technicians have all been helpful, courteous, professional and punctual. I would reccomend anyone who has pest issues or who is needing pest prevention in their home to go with Universal Pest! I’ve been a customer for years and am happy with the customer service. Our technician, Justin, is friendly, professional and takes care of any concerns we have. He even takes the time to visit with our dogs. I recommend Universal Pest Control. Did all I asked for. Excellent service. Always prompt and informative. Highly recommended. Great job guys. Thanks. The representative even climbed up into the attic to set traps for silver fish. Thanks again. Our guy is wonderful! He is knowledgeable and nice. David has been my Servicemembers since I started. He’s courteous, knowledgeable and a pleasure to work with. I always would like David to perform my service. Thanks, Mark Manthey. Andrew, Dean & David did a great job. Seemed thorough & knowledgeable regarding their field and the local conditions. Looking forward to a more worry/stress-free year! The technician was very professional in our home. I am very pleased with my technician. I really like that he now knows my house and what needs to be done and what needs to be checked. He is very personable and very pleasant. Andrew came out to do my regular pest treatment. He was very friendly and knowledgeable. He put booties on before entering my home. He took the time to explain to me what he was doing and the treatment he was using. He was very careful and considerate of my new dog as he went about his tasks. I was very pleased with his service. Technician is very professional and knowledgeable. Helped rid my ant issue in only a few services and provided solutions to new pests that appeared. Extremely happy. I was 100% dissatisfied with this company's performance. what the salesman told me when he came to my property and did an assessment compared to what he recommended for me was an over cell. I only need a quarterly maintenance to keep cockroaches under control and spiders and water bugs. This man insisted that I sign up for a monthly service for one year when I did not need that. He guaranteed me that after 2 weeks they would come back out and do another additional service to make sure that things are under control with the pests in and around my home. When I called to get them to come out they said that they do not come out after two weeks. That's not true. We argued about that for a minute. Then when I told him that I did not need services monthly and wanted to change the quarterly he said that I am not qualified under the program I signed up for it to come quarterly. I feel like I was 100% lied to by the salesman and had your pay 75 additional dollars to have the contract stricken from the record. I am highly dissatisfied and would not recommend this company to anyone! Ronnie our Technician is always helpful, courteous and goes out of his way to care of our bug pest issues! We love Universal Pest! Thank you for always taking care of us! Justin provides great pest control service. Thank you for a pest-free home! He is a very good technician very professional and very knowledgeable of his job ,it’s good to seeing someone that do not mind doing their job . Great service & friendly tech always on time and ready to answer any questions you may have. Ronny was professional and completed all the needed services. Thanks. Inspector showed up a little early and was able to complete the job in a timely and professional fashion. Our tenant was very pleased with the service and overall appt. the tech for my quarterly inspections is always on time and a very nice person!! Your technician is great, serious about getting rid of the ant problem and other crawlies. he seems to go above and beyond what it takes to get us bug proof. he's an ex-Marine. andrew hornbaker. Been using Universal for many years. Techs are always friendly and professional. Would highly recommend them! Always a good service! Highly recommend Universal! My technician is always very helpful and what not. Our technician was helpful and professional. Thank you. He was very helpful and took care of the problem. With being older this is very nice to see someone willing to help out. Always a great experience with you all. Thanks!